Teke moon shaped masks are worn by members of the Kiduma - a secret society that takes charge of social celebrations and rituals. The mask is held in place with a bite bar at the back which the wearer holds in his teeth. 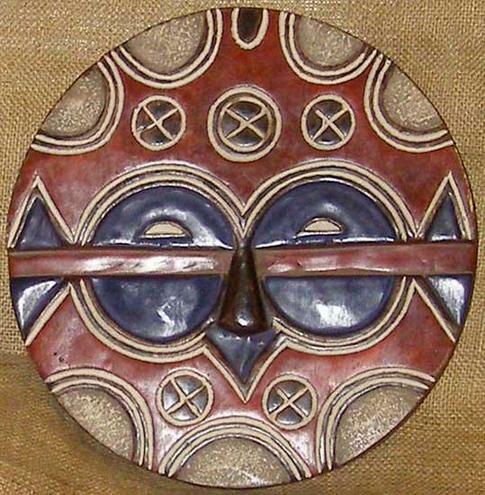 These masks are usually decorated with geometric symbols and divided by a horizontal stripe. They are coloured with clay and paint. In year 4 we made our own masks using acrylic paint, as part of our painting and printing art lessons.